News just in, Learn with iiNet workshops are now going live and available to customers across Australia through the power of live webinar sessions! What is a Webinar you ask? A Webinar session is a seminar, workshop or presentation that takes place over the internet. It allows participants in different locations to see and hear the presenter, ask questions and interact. This is a particularly proud moment for iiNet as we pride ourselves on providing awesome customer service to our amazing and loyal customers – this is a great opportunity to learn more about the internet and services we provide. Learn with iiNet Workshops are small focused workshops that explore a range of topics from ‘Securing your Facebook’ to ‘Getting the most out of your iiNet TV’. Run by our Learning and Development Department and a team of friendly staff from various sections of the business, workshops are usually held at iiNet’s Head Office in Perth, Western Australia. An exciting new development is that we have now made the jump to hosting live webinars for customers Australia wide. We hope that customers outside of Perth will take this opportunity to access our online videos and content and get involved. Access details will be provided once you register on our Learn with iiNet webpage. Be sure to check your local time zone and the time of the online seminar. What is the next seminar about? Ever wondered about what the internet actually is? What a browser means? And what a virus can actually do? Well, let’s demystify all those terms and acronyms for you and make exploring the wonders of the internet easy and safe for you through: “Internet 101 – Understanding the Internet”. You’ll learn some simple tips and tricks to enhance your internet experience. This interactive online session is limited to 5 participants per session, who will be able to interact with the trainer and ask questions. For times please check out the Learn with iiNet webpage. For those that can’t participate online, we’ll be recording the session and posting it online. 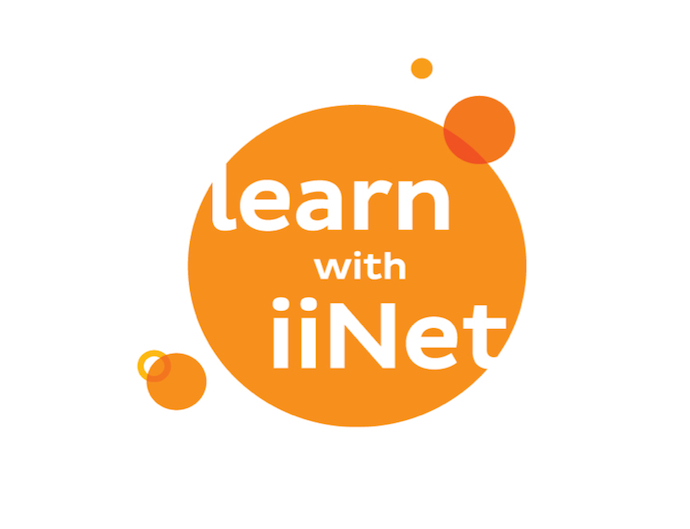 TIP: For upcoming Workshops and Live Webinars, be sure to bookmark the Learn with iiNet webpage and check keep an ii out for the iiNewsletter that is sent to your email or webmail address. (If you don’t receive these emails but want to, just visit Toolbox ( http://bit.ly/1uDLjln ) go to “edit contact preferences” and make sure you’ve ticked the box! iiNet are proud of their staff. So what do we do when we’re proud of our staff? Well, we put them in our very own videos to help our customers. Over the coming months, iiNet will be releasing more learning material on our awesome products featuring our very own staff. You’ll be able to find more content on our iiNet YouTube Page, on our iiNet Website and on the Learn with iiNet Webpage. Below, are some that cool videos that we prepared earlier. Enjoy! Stephanie talks about webmail and how to access your messages. Toolbox is a self-service website designed to give you access to your iiNet account any time you like. Want to learn more about the revolutionary technology that is NBN? Just spend a few entertaining minutes with Finn. Sean works in Learning and Development. Between running Learn with iiNet Workshops and Training our awesome staff, he enjoys a spot of cricket and playing the drums. Unfortunately he’s no good at either.